Home >>Random >>Mind the Gap! Don't you hate when "that guy" cuts your stock a little too short? Holding on to just 0.060" here. 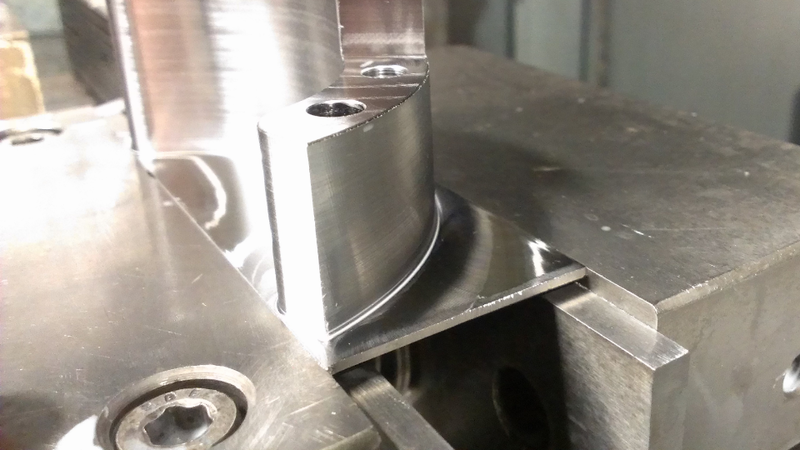 The part is 1.5" tall made out of 4140, which helps it stay in place and not collapse under machining pressure. Pretty sure it would have moved if it was made out of mild steel. PS. Did I eay I love those CR vise? I do. Can't lift that jaw with a lift truck. New Comment to: Mind the Gap!